The new opening date for individuals to file their 2014 tax returns will allow the IRS adequate time to program and test its tax processing systems. The annual process for updating IRS systems saw significant delays in October following the 16-day federal government closure. 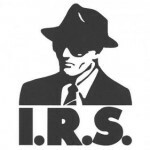 The 2015 date is eleven days earlier than the 2014 irs tax season opening, which started on January 31, 2014, following January tax law changes made by Congress on Jan. 1 under the American Taxpayer Relief Act (ATRA). The extensive set of ATRA tax changes affected many 2013 tax returns, which led to the late January opening. The IRS noted that several options are available to help taxpayers prepare for the 2015 irs tax season and get their refunds as easily as possible. 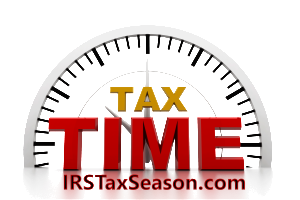 New year-end tax planning information has been added to IRS.gov this week. In addition, many software companies are expected to begin accepting tax returns in January and hold those returns until the IRS systems open on January 20, 2015. More details will be available in January. The IRS cautioned that it will not process any tax returns before Jan. 20, 2015 so there is no advantage to filing on paper before the opening date. Taxpayers will receive their tax refunds much faster by using e-file or Free File with the direct deposit option. The April 15, 2015 tax deadline is set by statute and will remain in place. However, the IRS reminds taxpayers that anyone can request an automatic six-month extension to file their tax return. The request is easily done with Form 4868, which can be filed electronically or on paper. The October closure came during the peak period for preparing IRS systems for the 2015 irs tax season. Programming, testing and deployment of more than 50 IRS systems is needed to handle processing of nearly 150 million tax returns. Updating these core systems is a complex, year-round process with the majority of the work beginning in the fall of each year. About 90 percent of IRS operations were closed during the shutdown, with some major work streams closed entirely during this period, putting the IRS nearly three weeks behind its tight timetable for being ready to start the 2015 IRS tax season. There are additional training, programming and testing demands on IRS systems this year in order to provide additional refund fraud and identity theft detection and prevention. Discuss this in the Income Tax Forums. Estimate your 2015 Tax Refund Calculator online free. Check out 2015 IRS E-File Cycle Chart for Tax Year 2014.